• This Ballistic Screen Protector is made of Nano-chemical substances; is built with 0.33 mm thick, laser cut tempered glass; and has been rounded and polished to provide 2.5D edges. • The protector offers 9H+ scratch resistance, which ensures that it is shockproof, pressure resistant, and protects against scratches of all sorts. • The oleo-phobic coating offers High Definition (HD) clarity as well as the highest touch-screen precision, while simultaneously protecting against oils, fingerprints, smudging, and bacteria. The ultra-clear shock resistant coating is also water resistant, and offers a high level of protection against harmful oils. • The Ballistic Screen Protector's advanced silicone adhesion makes it easy to install, while avoiding any residue after removal. This item gives your phone a premium look, while offering a high degree of protection for your screen. Gold Standard, made up of nano chemical substances, built with laser cut tempered glass with rounded, polished 2.5D edges. 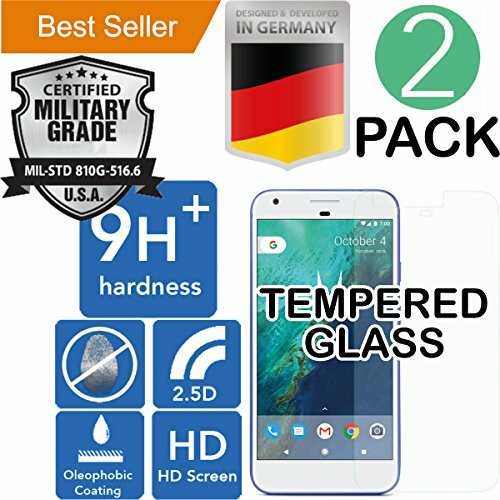 The 9H+ Ballistic Glass Screen Protector comprises of first-rate grade tempered glass of 0.33 mm thickness that is up to 9H+ scratch resistant, ensuring a shock-proof, pressure-resistant anti-scratch protection. OLEOPHOBIC COATING: offers High Definition (HD) clarity as well as the highest touch-screen precision, while simultaneously protecting against oils, fingerprints, smudging, and bacteria. EASY INSTALLATION: One touch and BUBBLE-FREE installation design - automatically absorption installation and no residue on screen when removed. Advanced silicone adhesion making it easy to install without any everlasting residues.